Chihuly’s work is included in more than 200 museum collections worldwide including the Metropolitan Museum of Art, and the Smithsonian American Art Museum. Among the many museums in which his work has been exhibited are the Louvre’s Musée des Arts Décoratifs and the Victoria & Albert Museum, London. Some of the great botanical gardens have recently exhibited his work, such as the Royal Botanic Gardens at Kew, and the New York Botanical garden. His corporate installations include the famous ceiling sculpture at the Bellagio in Las Vegas. Born in 1941 and raised in Tacoma, Washington, Chihuly studied interior design and architecture at the University of Washington in Seattle, earning his BA in 1965. 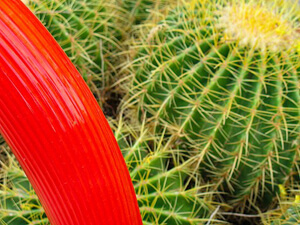 In that same year, Chihuly blew his first glass bubble. He attended graduate school on scholarship at the University of Wisconsin, Madison where he studied glass under Harvey Littleton. That same year Chihuly received a Fulbright scholarship to study at the Venini glass factory in Venice. The following year Chihuly became part of the faculty of RISD and established a glass program there. In 1971, he co-founded the Pilchuck Glass School near Stanwood, Washington. 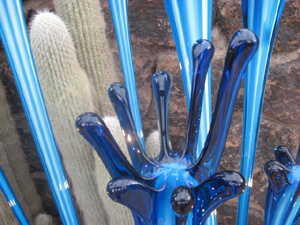 Over the years Chihuly (Arizona Artscapes – A Brief Biography of Dale Chihuly) created a wide vocabulary of blown forms. Earlier series from the late 1970s through the 1990s, such as Baskets, Seaforms, Ikebana, Venetians, and Chandeliers have been augmented with the new Fiori -or flower- forms. “Over time I developed the most organic, natural way of working with glass, using the least amount of tools that I could. The glass looks as if it comes from nature.” Some of these new flower forms are reminiscent of his early installations made at Pilchuck in the 1970s, so Chihuly has come full circle with his vocabulary of forms. In his garden installations, the artist juxtaposes his forms with those of nature establishing a direct and immediate dialog between nature, art, and light.